← A novel way to write a cookbook! What came first? The chicken or the boiled egg that you couldn’t peel without making a complete mess!? Today I decided to make some egg salad sandwiches for Wayne and I. That got me thinking about eggs, boiling them and peeling them.. For something so simple it sure does make our lives a misery. You boil them up and then you try to peel them. Half the white disappears with the shell. 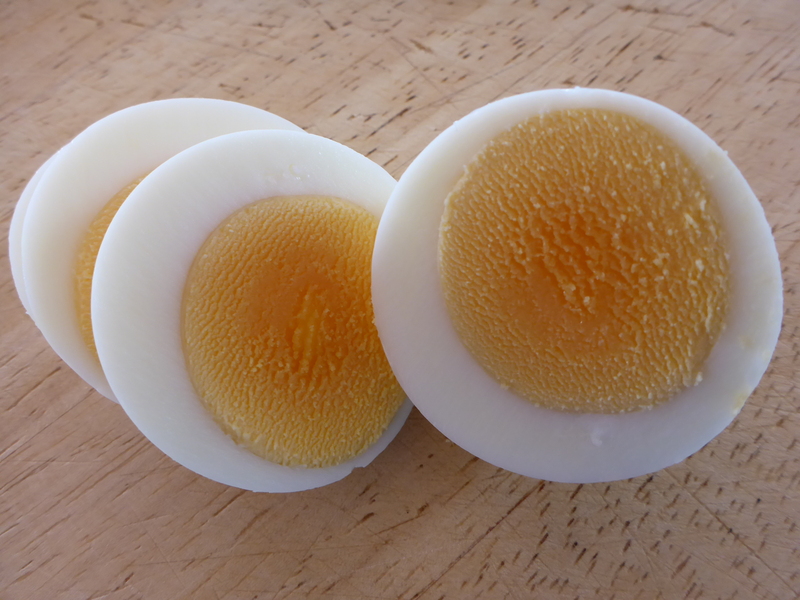 You cut it in half or slice it up and you get an awful grey ring around the yolk. Not a good look! 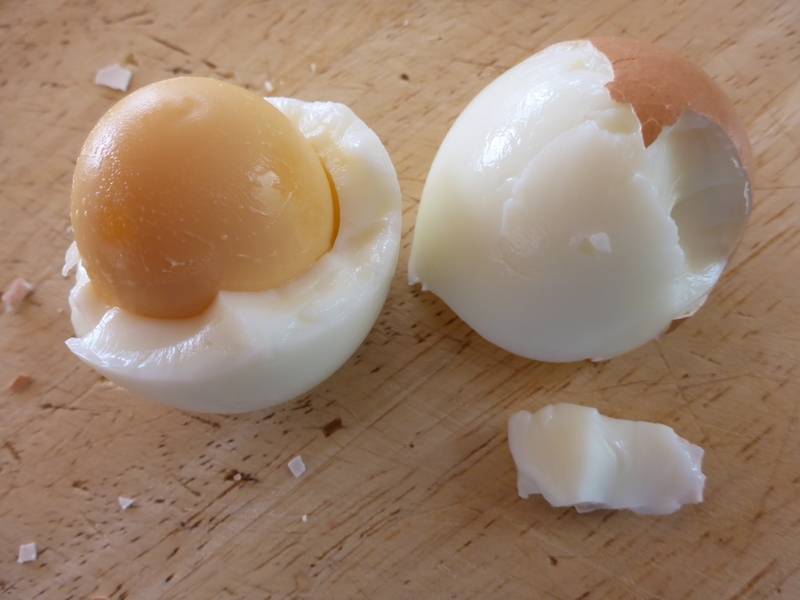 So over the years I have practiced and tried different things to make peeling eggs easier. I have also played around with the timings and worked out what is good for me, what I like. Now this may not be the same for you so I would love to hear how you cope with your egg boiling and peeling dilemmas. The fresher egg just fell apart! But again perfectly cooked. But for now I will share with you my preference for boiling the perfect egg and what works (most of the time) when peeling an egg. There is nothing worse than making deviled eggs and finding they look as if they have been attacked, by a chicken no less! I take my eggs out of the refrigerator and let them come to room temperature (about 1 hour out of the fridge before cooking). I place them in a pan, cover with room temperature water and place on the cooktop, set to boil. Once the water has started to boil I turn the temperature back slightly so that you get a gentle boil (between a simmer and a boil). Cook for 5 minutes then quickly drain and rinse with cold water. Fill the pan or a bowl with cold water and leave eggs in water for about ½ hour then remove from water and place in the fridge to cool completely. 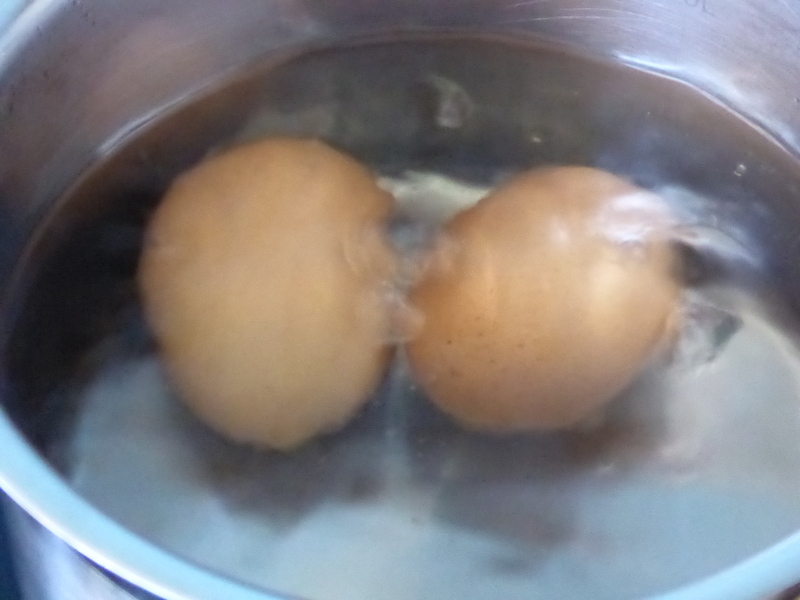 Now this cooks the white and yolk so that it is set but with no grey ring around the yolk. But the problem always comes when peeling the egg. Do you use older eggs, do you crack and roll, do you crack and place in water? I am still not completely sure but I do find that the older the egg the easier it is to peel. I also find that if you crackle it gently then roll it on the counter it peels easier. 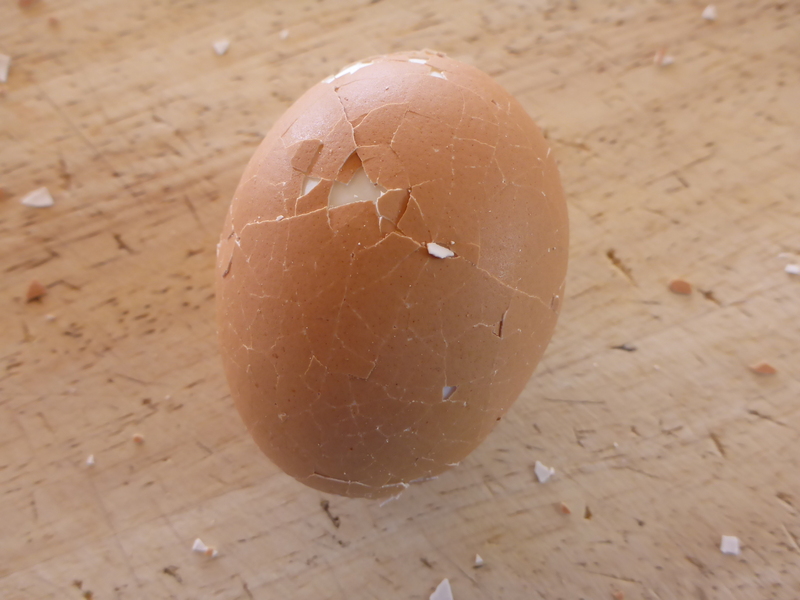 The older egg crackled, rolled and peeled perfectly. The fresher eggs were definitely harder to peel and when I cracked it and tried to roll it the egg broke in half but it was cooked perfectly! So I will continue to experiment and would love to hear what others do so I can try it out and see if it works. So get them googs cooking and let me know how you go. This entry was posted in Hints, Tips and clues., Home and tagged Boiled Eggs, Boiling Eggs, Eggs, Peeling Eggs. Bookmark the permalink.